The question about the nature of the fundamental building blocks that compose our world was already debated by our ancestors. 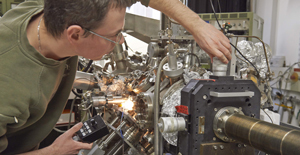 Modern experiments have allowed us to look deeper and deeper into the structure of matter and to identify smaller and smaller matter constituents. Interaction of a pion beam (from the left) within a Bubble-chamber filled with hydrogen. Photo: CERN Meanwhile we know that all form of matter on our earth is composed of objects, that are so small to be considered point like. We call them Quarks and Leptons. There is so far only an upper limit for their spatial dimension equal to 10E-18 m. In overall, we know 6 quarks, 6 anti-quarks as 6 leptones and 6 anti-leptons. These fundamental building blocks are divided into three families and there are solid arguments to believe that this ensamble should be complete. The forces among these elementary particles are linked to 4 fundamental interactions: gravitational, electromagnetic, weak and strong interaction. One normally assumes that these forces among particles are mediated by so-called exchange-bosons. Those are gravitons, photons, W- and Z-bosons and gluons respectively. 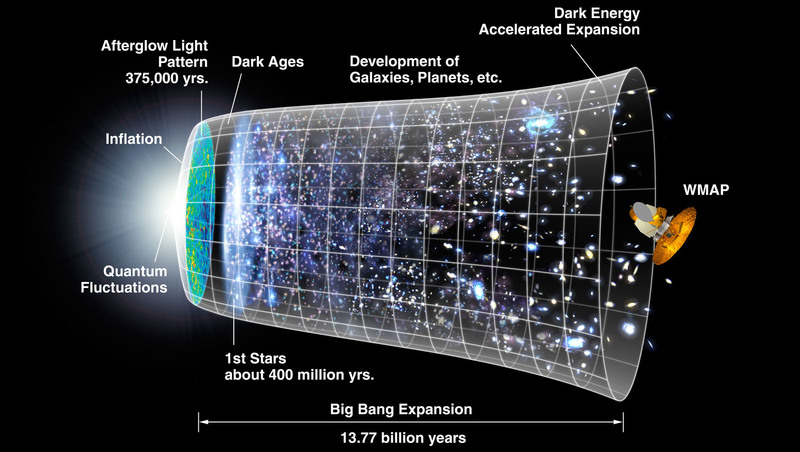 Timeline of the Universe. Photo: NASA / WMAP Science Team We assume that the number of particles and corresponding anti-particles which were produced after the Big Bang was the same and also that most of the particles/antiparticles would annihilate by colliding. Nevertheless, a very small asymmetry or spontaneous symmetry breaking must have occurred back then to explain the much larger matter yield in comparison with antimatter that we face today in our world. Modern works in theoretical and experimental particle physics have allowed to unite the electromagnetic, weak and strong interaction within a single model called the Standard model of particle physics. This model is able to describe most of the experimentally determined properties of elementary particles and of more complex systems of these elementary particles. Some questions still remain unanswered. In particular it is not clear where the particle mass comes from and nowadays the proven solution goes under the name of "Higg-Mechanism". This is the reason why big experiments were carried out to finally discover the Higgs particle at the LHC (CERN) in 2013 and find out its mass. Currently the properties of this particle are under investigation. 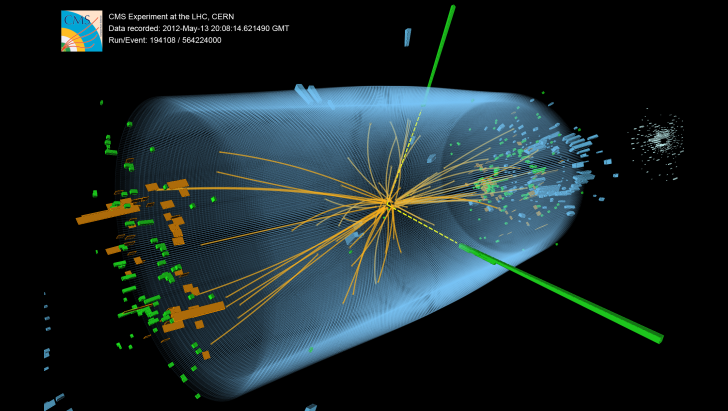 CMS Higgs search, candidate photon-photon event. 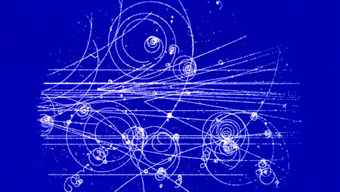 Photo: CERN The standard model contains several parameters which are can not be predicted and hence can only be determined empirically. This together with many other arguments shows that the Standard model needs to be extended. This is the reason why physics phenomena beyong the predictions of the SM are searched for. 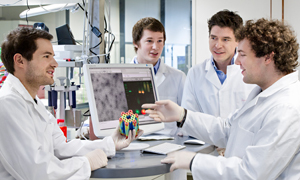 For example, one can perform precision measurements of atom or neutron properties and search for deviations from the predictions by the standard model. Or one can try to produce new particles, heavies one directly at the LHC collider, as it will be done in the next years.